As relations with China continue to flourish and the Taiwanese economy picks up, political drift becomes an issue. Taiwan, to its credit, is a place where people speak their minds. Media mogul Jimmy Lai built an empire in Hong Kong and Taiwan and has become renowned for a kind of brash fearlessness in his media properties’ outspoken stance for democracy. His Apple Daily is the most popular newspaper on the island of Taiwan, where 23 million people live. But now Lai has sold his Taiwan print and television assets for $17.5 billion to a group of local businessmen, including a 32% share to the well-known pro-Beijing tycoon and owner of Want Want Holdings, Tsai Eng-meng. The deal, signed in November and still pending regulatory approval, raises fears that Taiwan’s scrappy free press will come under heavy mainland influence, subject to self-censoring, at the very least. The issue is such a tinderbox that a protest against the standing Koumintang (KMT) government in January drew a large crowd. The government had scuttled antimonopoly legislation proposed by the opposition Democratic Progressive Party that was seen as a last chance to stop the sale, and the legislation became a touchstone issue in Taiwan’s wary but increasingly lucrative evolving relations with mainland China. 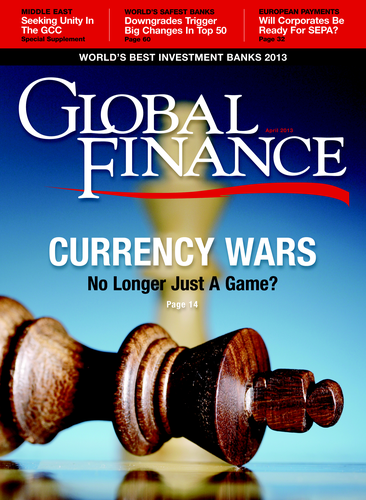 Political turmoil matters to global companies with an interest in Taiwan because 2013 has been pegged as a year in which the nation could finally play to its substantial advantages: growing economic and banking ties with China, established manufacturing capabilities and a high degree of economic freedom. 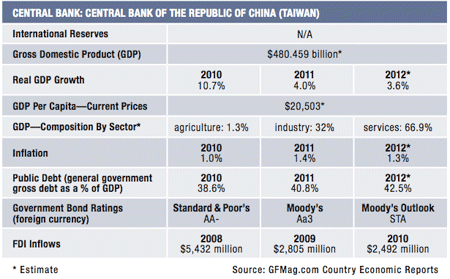 Taiwan’s economy is poised to do much better than it did in 2012, when it grew a sluggish 1.5%. Swiss bank UBS in late February upgraded its 2013 estimate for Taiwan to 4.2% from a prior estimate of 3.7%, following a better-than-expected 2012 fourth-quarter result of 3.4% year-on-year. UBS argues that a moderate recovery in export growth, coupled with pent-up and replacement demand, is likely to spur capital spending by Taiwan’s businesses. Some 70% of Taiwan’s GDP is tied to exports. The economy is achieving incremental advances. Taiwan’s Purchase Managers’ Index, released jointly by Markit Economics and HSBC in February, showed a mildly positive level of 50.2—any figure above 50 connotes economic expansion. The PMI showed marginal advances in three areas: total export orders rose for a second month; stocks of finished goods declined and manufacturing sector output expanded. If that crossing is made, the issue is whether Taiwan can stay at the other side of the river. Taiwan was ranked 6th in Deloitte’s 2013 Global Manufacturing Competitiveness Index—ahead of Canada and just behind its main Asian rival, South Korea. When polled executives were asked how they envision the ranking in five years, Taiwan shifted to seventh place—with Brazil and India surpassing the island nation. "We see promising prospects for renminbi business in Taiwan, given [its] trade surplus with China and Taiwan's outward foreign direct investment to China." “Although the country has strong trade relations with Western economies, is pursuing new free-trade agreements and working to improve relations with China in efforts to boost cross-strait trading, Taiwan, like other countries, is expected to fall behind” in the face of these rising giant economies, noted Deloitte. That’s why consolidating economic gains and implementing reform is perhaps more important now in Taiwan than at any time in the past decade. Taiwan’s greatest problem is also its advantage—its relation with its neighbor across the Taiwan Strait. A milestone in financial relations between the two nations was passed in February when cross-border renminbi trade settlement services were officially launched. The potential for Taiwan is huge. Hong Kong, which has had an offshore renminbi market since 2007, saw renminbi deposits peak at 10.4% of total deposits—a figure that has since fallen back to around 9%. According to Frances Cheung, senior strategist for Asia ex-Japan at Crédit Agricole CIB, if Taiwan were to achieve the same percentage, it would translate into Rmb525 billion ($84 billion) of assets. Analysts don’t believe that it will climb to this level soon, but the new line of business is welcome in Taiwan’s overbanked financial services sector. Banks lost lucrative fee-based business under Taiwan’s Credit Card Reform Act of 2009. They also face a probable rise in loan-loss provision levels from banking regulators this year, which Fitch Ratings senior director for Taiwan, Jonathan Lee, says could pinch banks’ pretax profits to TW$140 billion ($4.7 billion) for 2013, versus TW$190 billion in 2012. These burdens make the opening of renminbi trading in Taiwan all the more alluring for its challenged banks—and for investors in Taiwan financial stocks. An offshore renminbi bond market is expected to develop this year, with BNP Paribas and Deutsche Bank among the investment banks likely to issue the first renminbi bonds in Taiwan. “We see promising prospects for renminbi business in Taiwan, given [its] trade surplus with China and Taiwan’s outward foreign direct investment to China,” says Cheung. With opportunities abounding, Taiwan’s government will have to put the nation’s economy in order. “The biggest threat to Taiwan’s political stability is in the domestic sphere, where the legislature is becoming an increasingly interventionist force in what was previously an executive-led government system,” the Economist Intelligence Unit wrote in February. This is an odd turn of events, given that the government sailed through the January 2012 elections with a clear mandate to improve business and political ties with China. The KMT’s sense of political drift has been exacerbated by the resignation of two cabinet ministers over policy differences and a corruption scandal involving a former cabinet general secretary. Nevertheless, key reforms must be tackled. Taiwan’s government has long showed signs of fiscal strain. The general government fiscal deficit has averaged 2% of gross domestic product over the past 10 years, and general government debt stood at 44% of GDP at the end of 2012, versus 27% of GDP in 2000. Easing this debt burden requires pension fund reform—an unpopular measure but perhaps easier for the administration of president Ma Ying-jeou, as he cannot run for the presidency again. Both parties offered draft versions of pension reform legislation at the end of January and early February. The average number of retirees in Taiwan is projected to rise to 20% by 2025, from 11% now. President Ma says that under the current schemes pension funds for public employees would go bust in 2019; private-sector workers’ funds face insolvency in 2031. Under the KMT’s plan the payout for public-sector employees would drop to 75% of monthly salary from 95%, while that of private-sector workers would be lowered by 30% after the ninth year of retirement. At the same time, contributions of working-age civil servants would go up and government contributions would be reduced. The government plans to present the draft as early as April—around the same time it is scheduled to review approval of Lai’s Next Media sale to Tsai. A smooth golden crossing is not a given. The Taiwan tale is not all about China. Terry Gou, chief executive of Foxconn—the maker of Apple’s iPhones with the trading name Hon Hai Precision out of Taiwan—announced earlier this year that his company’s next move will be to open manufacturing operations in Taiwan (Foxconn now owns nine plants on the mainland), at New Taipei City, Taichung and Kaohsiung. Foxconn has also said that it is putting off expansion at one of its China plants in Zhengzhou. 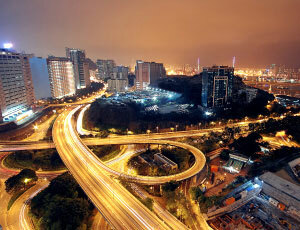 Hon Hai’s stock fell sharply on the news in February that it had imposed a hiring freeze in China. Gou attributed the freeze not to a falloff in iPhone sales or a shift to Taiwan but to the fact that an unusually high number of employees returned to the company’s China plants following the Lunar New Year. But analysts are skeptical. The company is already preparing to open factories in Brazil that will employ another 10,000 workers and is negotiating with Indonesian authorities to commit as much as $10 billion to factories there. Gou has also hinted that Foxconn could open plants in the US. To put things in perspective, Foxconn currently has 1.6 million employees with 1.5 million in China—it is in fact China’s largest private-sector employer. But for expansion it is looking elsewhere, as salaries in China grow and political tensions between China, Japan and such Asean partners as the Philippines create the prospect of supply chain problems. Many tech companies that manufacture in China rely on Japanese components in particular. Foxconn is looking to diversify its China risk.